1. 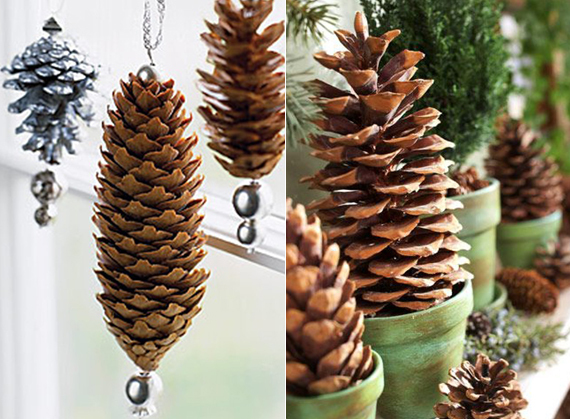 Pinecones are perfect for the winter season. 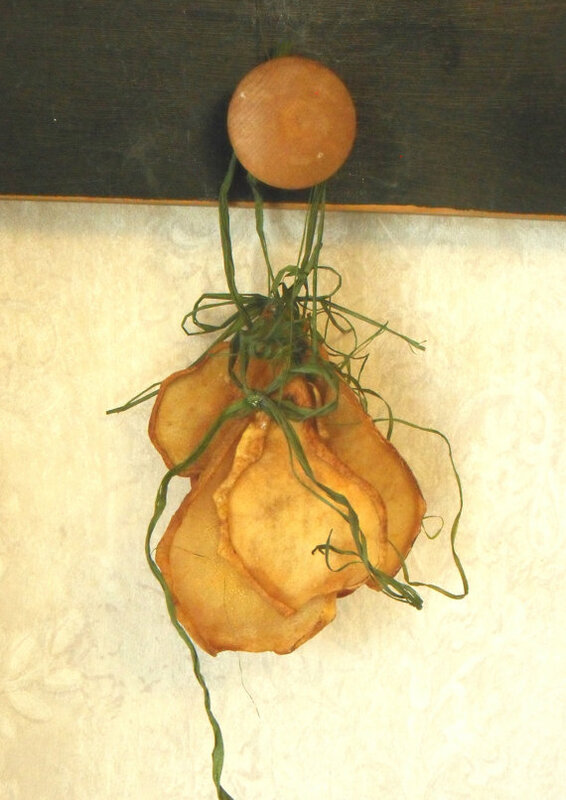 Since they’re small and lightweight, they work great for hanging décor and as small accents in larger displays. 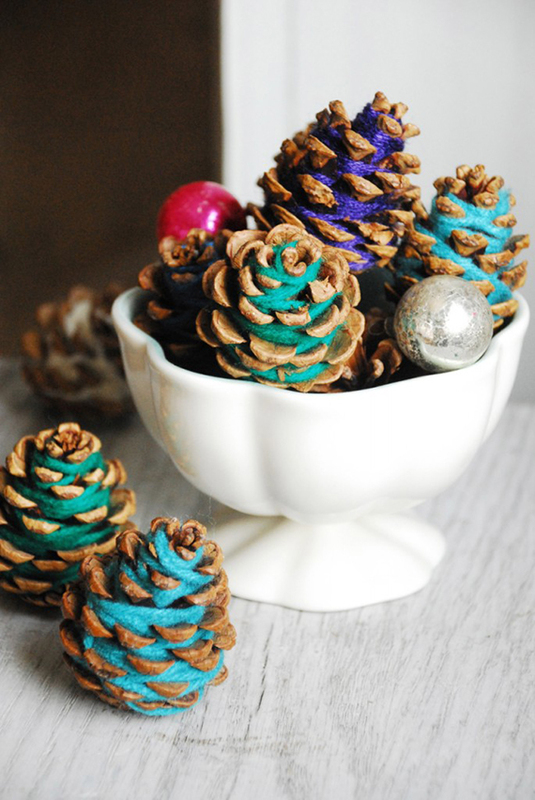 Paint-dipped pinecones are trending this year and they’re DIY-friendly too. 2. 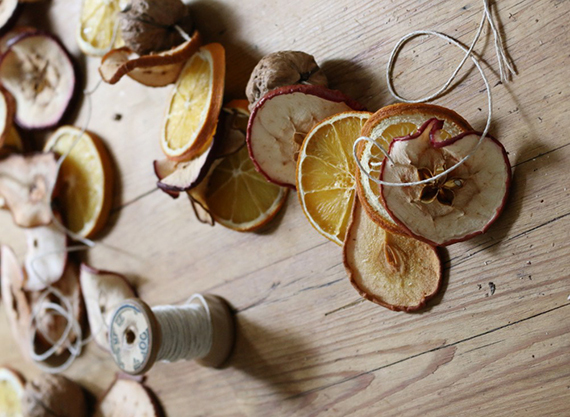 Dried fruit will add a pop of color to your décor, but it’s also lightweight for hanging accents like tree and doorknob ornaments or festive garland. This one is easy to DIY too, but if you need some pointers check out this DIY post on Gardenista. 3. 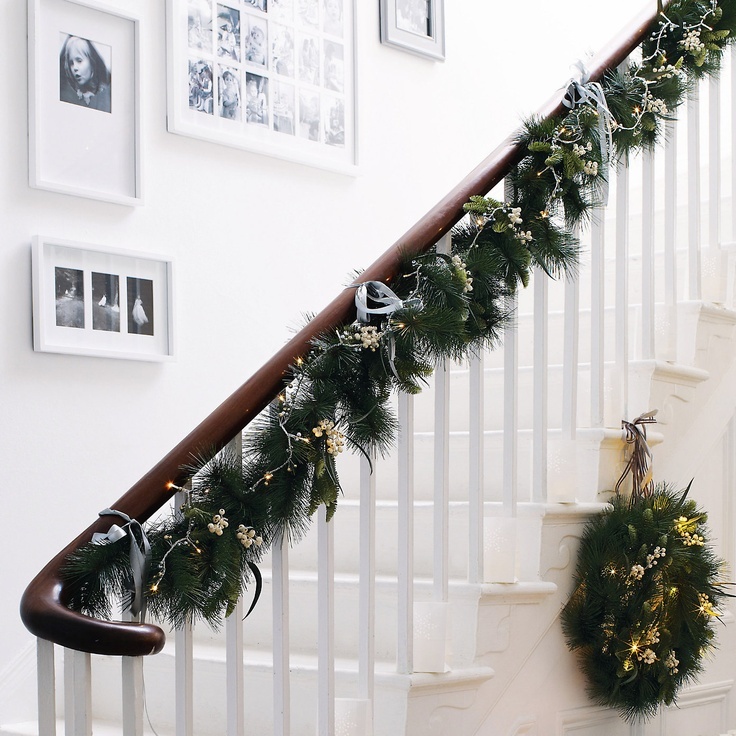 Evergreen trimmings are good for lining shelves, mantles, staircases and window treatments. 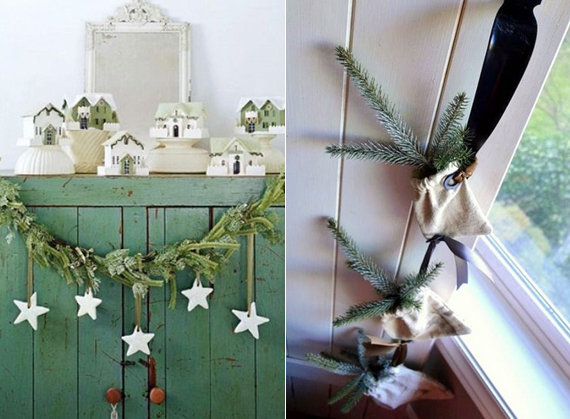 Making small decor out of a few trimmings adds simple fare, like the door hangers below. 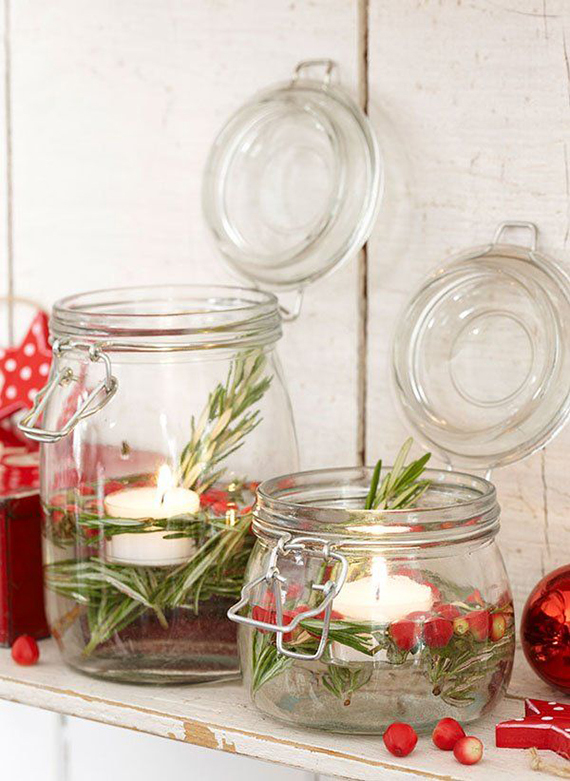 It’s also nice to mix them into a larger holiday arrangement for a fresh touch and scent! 4. 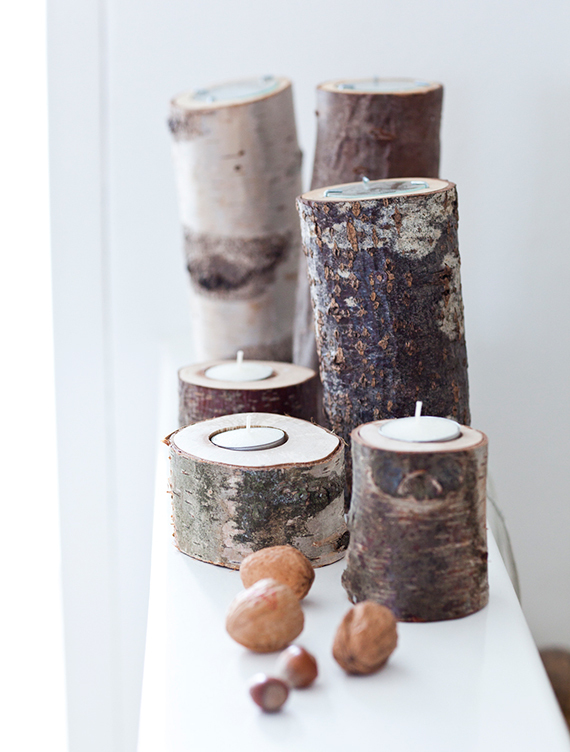 Birch logs are a winter staple, especially for the fireplace and tabletop decorations. 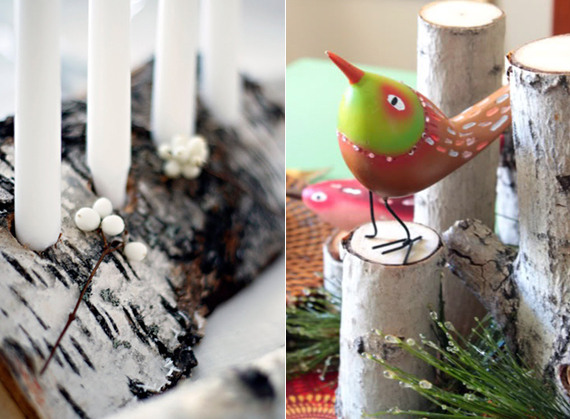 You can make cool candle holders and centerpieces using different sized logs to display on your holiday tablescape. Also great for the front porch or balcony! 5. Walnuts are small and delicious too! 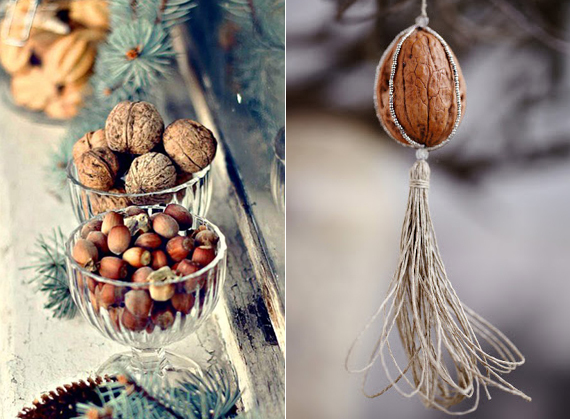 Like pinecones, they make great accents to larger displays and painted walnuts are also trending this year. 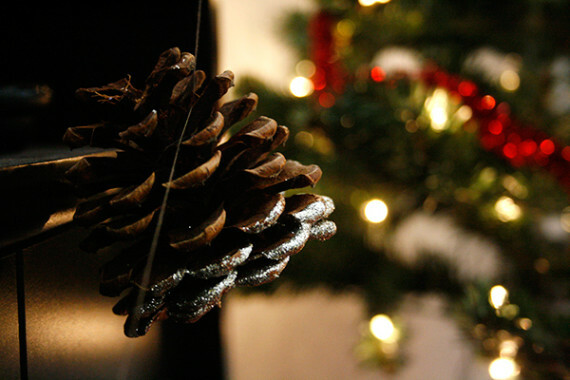 I like them in wreaths, holiday candle displays and ornaments on the tree. 6. Winter berries like cranberries will give you another pop of holiday color around the house. They’re pretty flexible which gives you a lot of options when it comes to décor and you can incorporate them into pretty much anything. 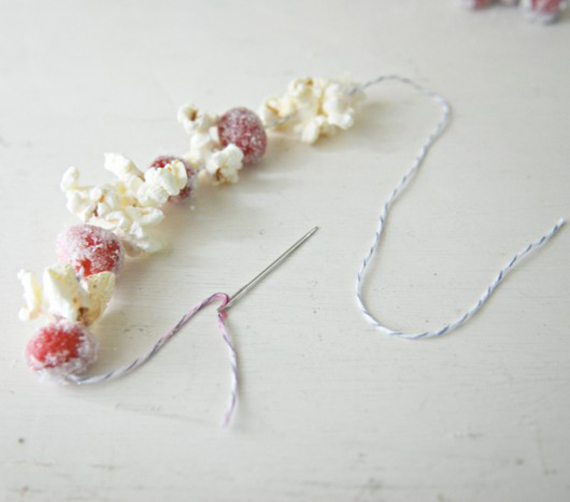 Some of my favorites are the classic cranberry/popcorn garland, cranberry wreaths and candle displays. If you are debating on whether you should make an offer on a new home before the New Year, now is the time to stop deliberating and submit your bid. Between 2013 tax benefits, and avoiding mortgage rate roulette and changing lending rules, closing before the end of the year can offer significant financial benefits. 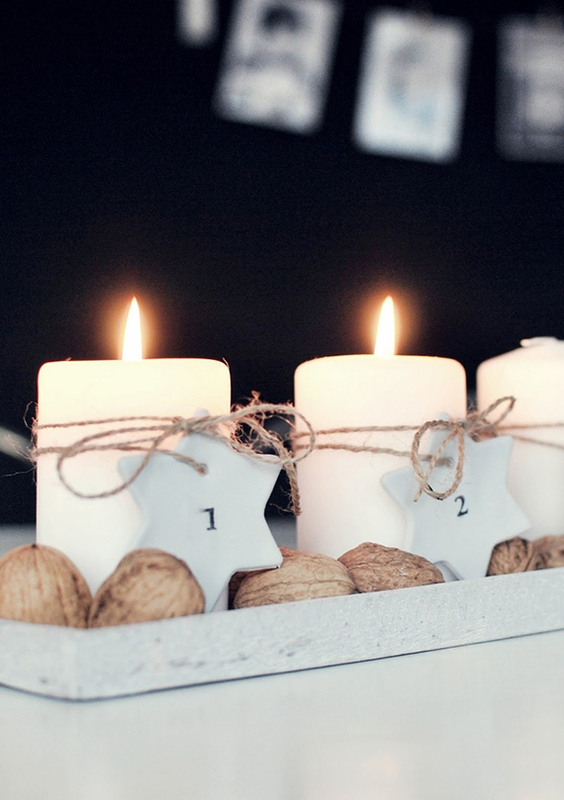 Top mortgage and real estate experts share five ways you will benefit if you buy a home by December 31, 2013. 1.) Avoid rising rates roulette: Mortgage interest rates, while still attractive, are up 1 to 2 percent over this time last year. It’s possible to lock in a 30-year fixed rate mortgage at about 4.5 percent, says Shari Cashman (Gencor Mortgage). 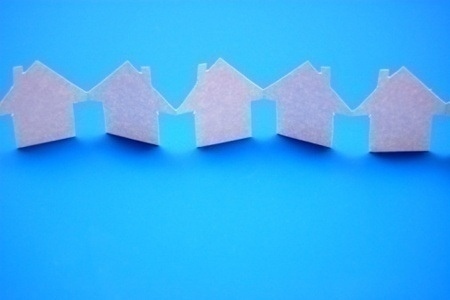 According to the Mortgage Bankers Association’s forecast, mortgage rates will likely rise to about 5 percent in 2014. If you buy now and the rates drop, you can always refinance. If you wait and the rates rise, you are stuck, says Todd Huettner (Huettner Capital). 3.) Easier financing: If you are waiting for home prices to decrease, don’t. 2014’s mortgage changes could make it harder to get financing, says Robert J. Spinosa (RPM Mortgage). So if you are looking to save a few dollars by waiting for home prices to drop, you could miss your window to secure a mortgage entirely. 4.) Lower sales could mean higher inventory: It’s an after-Christmas sale before Christmas! While 2013’s housing theme was limited inventory and higher prices, historically, the fourth quarter of the year usually slows down the housing market and this year is no exception, says Greg Cook (First Time Buyers Network). Housing sales have been declining since September so inventory has increased. According to the National Association of REALTORS®, existing-home sales declined for the second consecutive month in October, while constrained inventory means home prices continue to see double-digit year-over-year gains. You may get the deal of December! 5.) Maximize tax deductions: It’s important to remember that if you buy before the end of the year, you can begin deducting interest and building equity immediately, says Cashman. Some closing costs and points are tax deductible in the year you buy a home. Buying now allows you to include them on your 2013 tax return. If you buy even one week later in January, you have to wait a year for your 2014 return to take the deduction, says Huettner. • Make more or owe less. If you do not project your income to increase, paying down debt is the easiest and fastest way to lower your debt to income. Line up a contractor to take care of maintenance issues your REALTOR® has asked you to fix, like leaking faucets, sagging gutters, or dings in the walls.